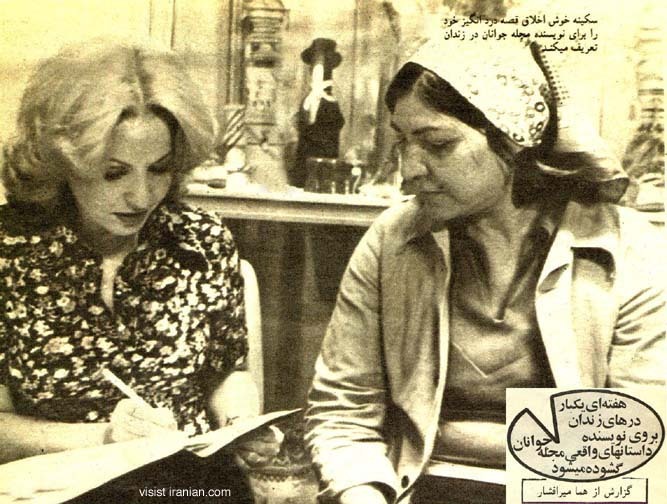 In the mid 1970's, Homa Mirafshar, the prolific song writer, visited women's prisons to interview inmates. These were published in Javanan magazinen on a weekly basis. Here, Mirafshar interviews Sakineh Khosh-Akhlagh.